It's always a question to myself... is it okay if you know that your motives are pure and clean? This issue tackled me again as I recently made an exit to Johor Bahru to assist friends and all the lies in front of the immigration officer is magnificent. Such as, "just here to go shopping", "I'm going back to Philippines afterwards", "nah, I just need 4 more days"... The result of those movie-like lines were good, the exit was a success and a new hope and beginning started to motivate these people... but why lie? I believe that we are living in this fast pacing world that conditions us to lie because sometimes, it is not easy to say the truth. Admit it, we sometimes fall in committing a lie such as reasons on why we can't come to the office, why we are late in our appointment, selling yourself in an interview, etc. 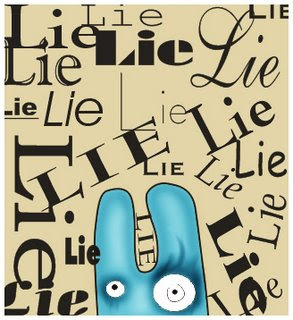 It is always wrong to lie because the bible says so. But the argument on "what if it results to a better situation? ", "what if my purpose is just to protect a person? ", "what if it will benefit to all?". If you will read John 7:2-10, Jesus initially stated that He won't coming to the festival but in the end still left for the occasion not publicly but secretly. Can we categorize it as a lie? If you read Exodus 20:16 (You shall not give false testimony against your neighbor), it is directly commanded not to give a wrong information or basically to lie. In Webster's definition, lie is making an untrue statement, briefly just like that. But in my opinion on the Christian definition, lie is something that you said falsely that results into hurt and negative to other people. I believe that God looks to us thru our heart, if the movites are clear, will hurt nobody and can provide us a better future and long time peace. Being honest is not always easy but the most important thing is that we keep our faith strong and unshakable. Honesty is also not just how you speak to others, but also how you speak to yourself. While it is apparent that God requires His people to be honest and truthful in their heart toward God and his people, it is also clear that there can be situations where faithfulness and loyalty to God and His people is more important in the eyes of God than satisfying our own law of self-righteous honesty.